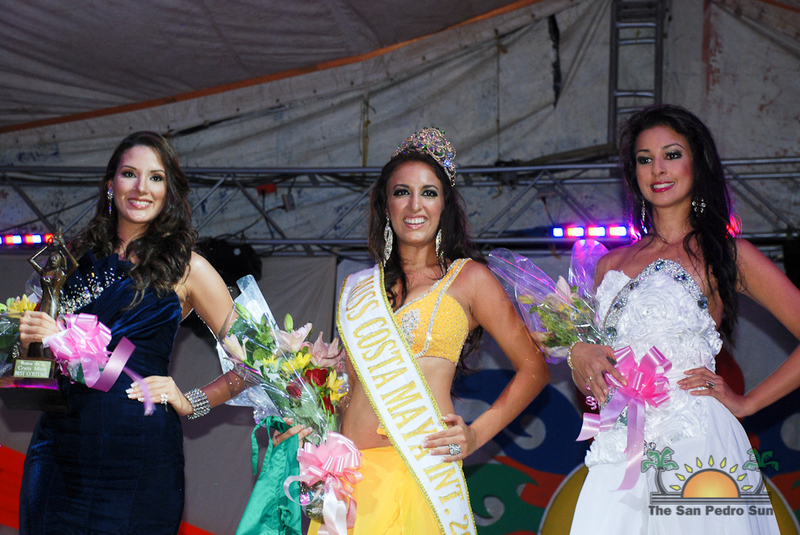 Costa Maya’s newest beauty ambassador is Mexico’s Natalia Villanueva. At the pageant held on Thursday, August 2nd, five judges: Alyssa Carnegie, Amy Knox, Pedro Salazar Sr., Iraida Gonzalez and Dr. Jose Jones made the decision after an initial interview with the beauties, plus their stage presence in swimwear and evening gowns, and their Q & A sessions. The eight contestants came onstage and performed a dance, then in twos, shared a bit of information on the Maya before heading backstage to prepare their costumes. Spectacular confections that showcased the mastery of the artisans from each country filled the stage with splendor. Feathers, beading, props and hand-painted textiles featured beautifully. 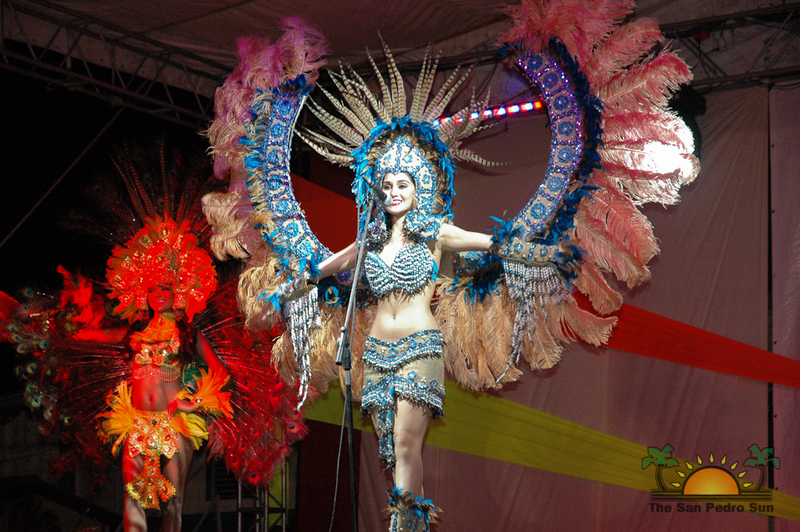 Belize, Costa Rica, El Salvador, Guatemala, Honduras, Mexico, Nicaragua and Panama’s true artistry shone in each costume. While the costumes flew off and the girls prepared for their swimsuit round, Masters of Ceremonies Eiden Salazar Jr. and Jennifer Chiong then had the pleasure of introducing the next performer onstage, the talented, Jael Jourianne August. With her amazing voice, the young songstress blew the audience away with her rendition of “What a Wonderful World”. Her act was followed up by San Pedro’s very own über talented Natalie Arceo, accompanied by the equally fantastic Derrick Baños on guitar. With hard, driving rock ‘n’ roll, Natalie got the stage properly warmed up for the official first performance of her original single, “[Esta Noche] Me Despido”, a phenomenal song that certainly portrays her wide range of vocal stylings. With the stage ready for some action, it was time for the delegates to strut their stuff in their jade swimwear. With a paparazzi vibe (complete with paparazzi onstage), the girls modeled and preened for the cameras, working the stage for all it was worth. The judges certainly had a hard task ahead of them as they tallied the points for each deserving delegate. 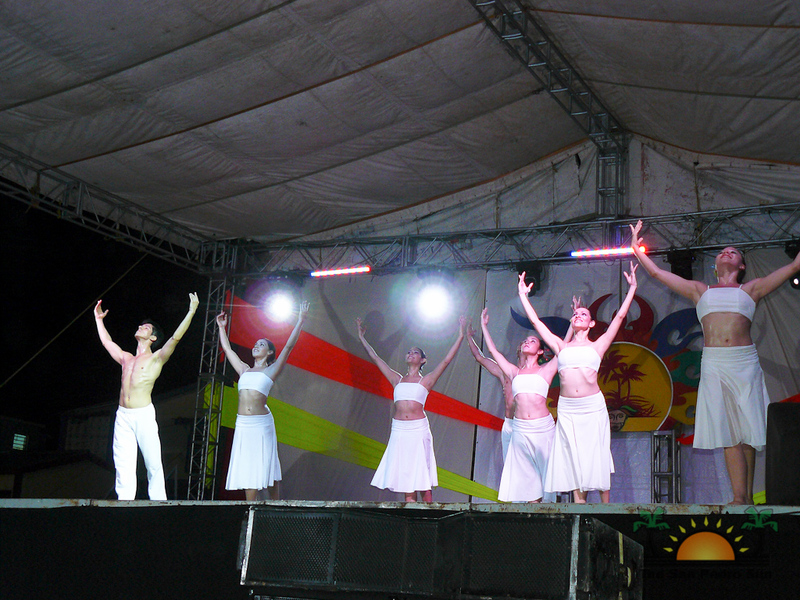 While they deliberated on the swimwear segment, the Ballet de Cámara de Quintana Roo dancers came up onstage and performed a stirring ballet. The graceful movements, simple but elegant costumes and smiling faces of the dancers were breathtaking – the audience was enthralled by the various dances, which alternated from serene to a bit fast-paced, and back to sinuous and spare. It was the perfect transition to the evening gown segment of the competition for the night. Clad in beautiful gowns with fine detailing and brilliant colors, glittering with baubles and accessories, each delegate strutted the stage, turning and smiling at every step, showcasing each and every nuance of their finery. 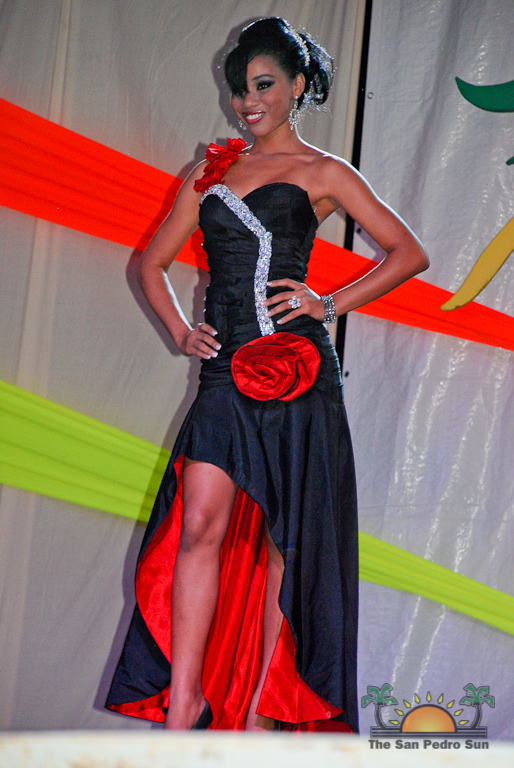 Ranging from navy blue, canary yellow, sapphire blue, white, red and black and red, each gown shimmered under the stage lights, but not as brilliantly as the smiles on each contestant’s face. Every single one of them was deserving of the crown at that very moment. To hearty applause from the audience, the young ladies took one final turn and walked off the stage to prepare for the final, question and answer segment. Nu Generation Dancers took the stage for an electrical performance that showcased modern moves, pounding music and electrical energy. With that aura on stage, the beauties once again gracefully sashayed to the forefront, ready to face the questions that awaited them. Eiden and Jennifer read the questions in both English and Spanish, and each contestant took their turn to respond to the questions that they pulled out at random. Every single one of them responded in Spanish, including Miss Belize. There were a few moments of hesitation and nerves, but all answered their questions with aplomb. After that nerve racking few minutes, it was up to the judges. 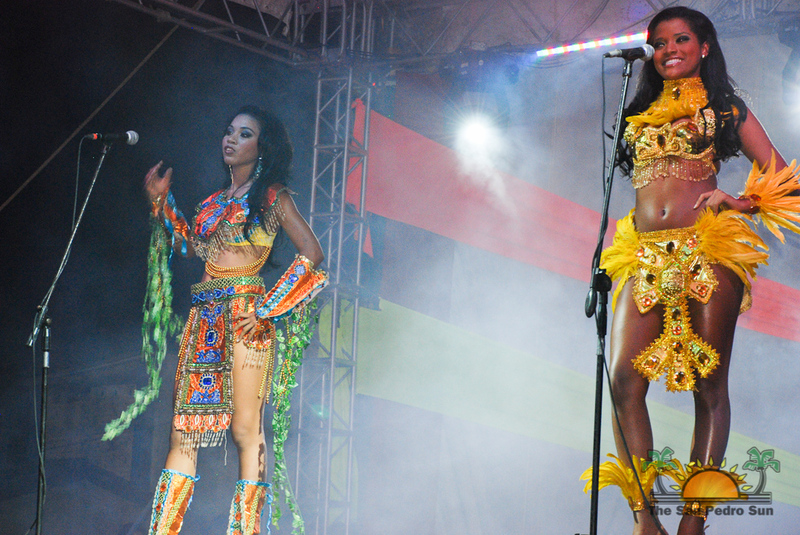 To make things different this year, the Pageant committee decided to make the costume competition a separate part of the pageant, with the points towards the national costume not affecting the final, overall winner for the night. 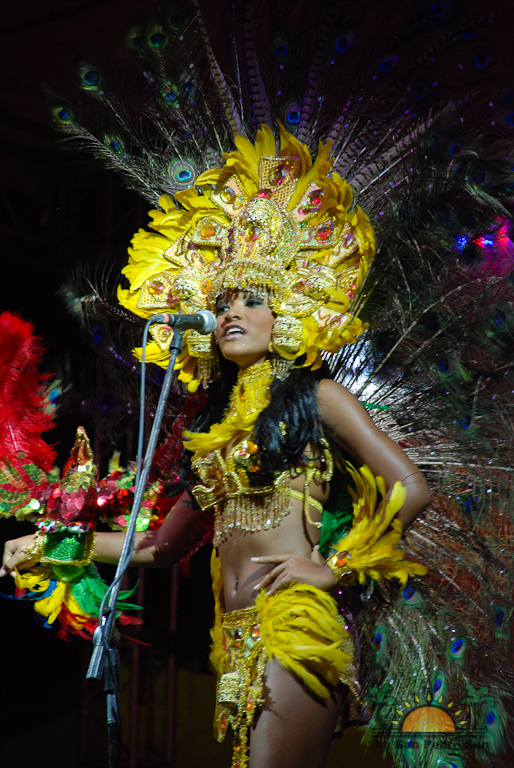 Taking the prize for the national costume was Miss Panama, Karen Jordan. 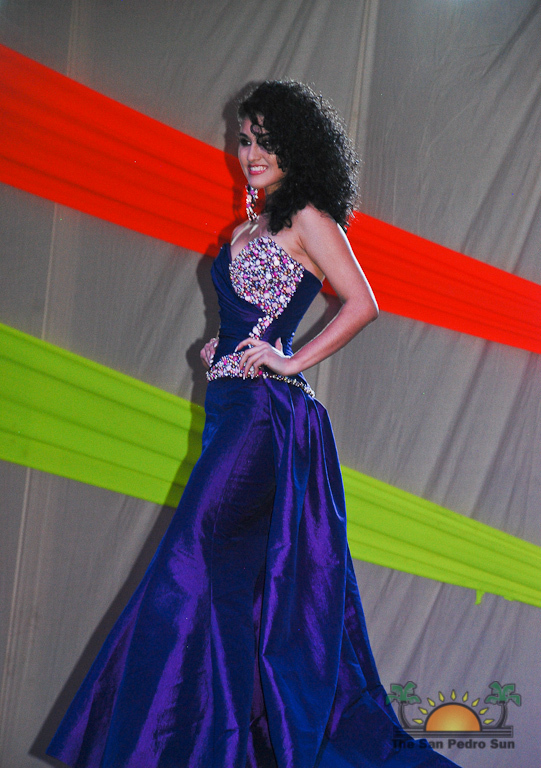 Then it was time; time to announce the second runner up: Miss Costa Rica’s Mariela Aparicio. She was presented with a beautiful bouquet of tropical flowers. Taking the first-runner up title, and the responsibility of taking over the reign should the winner not be able to perform her duties, was the lovely Miss Panama, Karen Jordan. Finally, after asking for the grand drum roll, it was time for Eiden and Jennifer to announce the big winner. And she is Miss Mexico’s Natalia Villanueva! A triumphant Natalia shook her fists in the air, thrilled with her win. 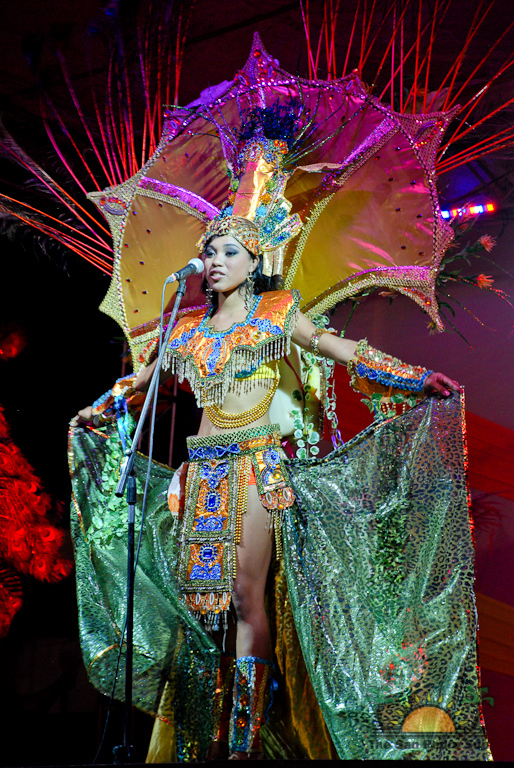 Waving the Mexican flag, she smiled happily as she was crowned and sashed as the newest Reina de la Costa Maya for 2012. Congratulations Natalia! 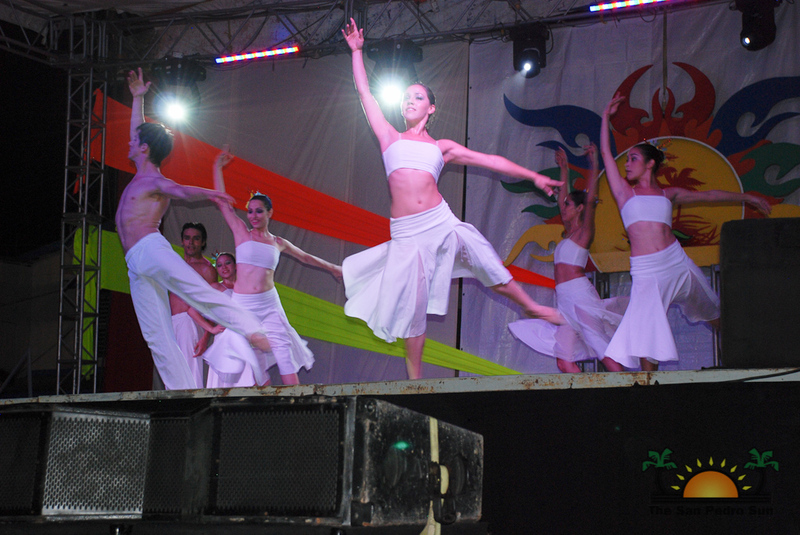 Editorial: Can’t Wait to GO to the Costa Maya Festival!